Modulkiri Hotel is comfortably located in the heart of northeast part of the Kingdom of Cambodia, that closed to shopping and business centre, with attractive site nearby where is very rich in the beauties of nature and the culture of the indigenous groups to be explored. You can see undulating hills, lush mountainous forests, evergreen trees, fertile valleys and streams, cascading waterfalls, and indigenous wildlife, which really produce a picturesque scene. Furthermore, you can visit the ethnic communities who are very hospitable to strangers. Standard, Deluxe, Suites, and Bungalow room, all finely decorated in traditional Khmer style furnishings and wooden floors to make your stay enjoyable and convenience located. With exceptionally warm hospitality and traditional Cambodian sincerity and kindness your stay will be something not to be forgotten with our friendly service. 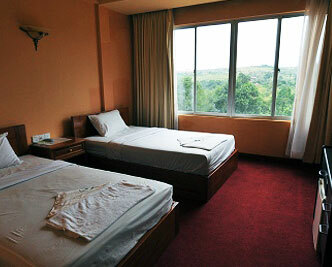 Hotels outside Phnom Penh and Siem Reap require a USD 10 standard booking fee to be added upon reservation.